Marketing information for Murata, come to us if u meet this problem. 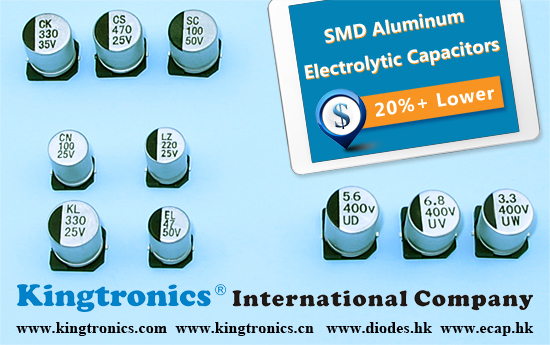 Kingtronics team wish to share a good news that we have new round break down offer for SMD Aluminum Electrolytic Capacitor, 20%+ lower than ever before for most values. Under the tough market background, it should be a good chance for both us to promote the popular series with aggressive prices. Would you like to take this opportunity to try win more market share together with Kingtronics ? Quartz crystals is often referred to as xtals and they are used to provide very high Q resonant elements for oscillators and filters. They rely on the remarkable properties of quartz for its operation. When placed into an electronic circuit a quartz crystal acts as a tuned circuit. The combination of energy efficient operation and low cost benefits make QKT-5032SMD the ideal solution for telecommunications, camera, wearable device, PDA, GPS, HDD, DSN, Smart factory, AV equipment, PC, Server, and etc. Murata Announces Plans To Discontinue Crystal 3.2 x 2.5mm and 2.5×2.0mm Lines in 2019. 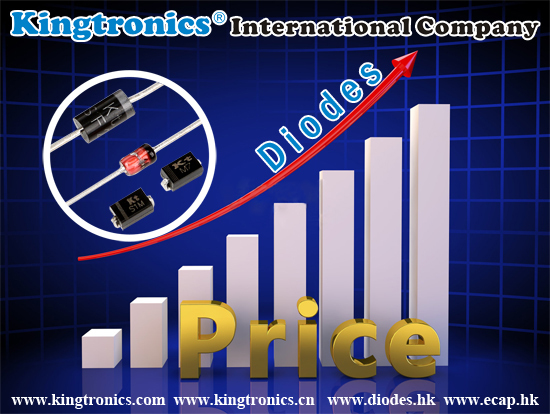 According to media reports, diodes price of international IDM manufacturers continued to rise in the first quarter of 2019. Manufacturers such as ON Semiconductor and Vishay are almost all rising. 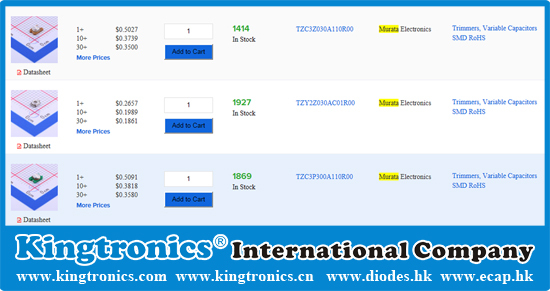 In addition to the price increase of diodes, the delivery of bridge rectifiers, schottky diodes, transient voltage suppression, rectifiers, switching diodes, etc. has been extended to 16-40 weeks, the longest even 52 weeks. At present, the demand for new energy electric vehicles and vehicle electronics in the market has risen sharply. For example, the advanced driver assistance system integrates blind spot detection, lane departure warning and parking assistance, and the number of diodes is several times higher than in the past. 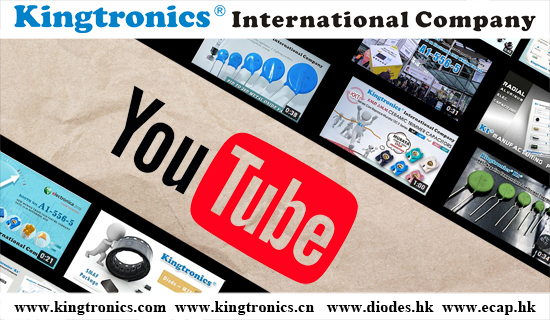 It’s time to contact Kingtronics for various cost-effective solutions. Our L/T and price are even better than before, your order schedules will be easily to be fulfilled. According to market information, the global acoustic sensor market is expected to increase demand significantly. MEMS has been established as one of the most promising technologies of the 21st century. It is estimated that by 2026, the global acoustic sensor market will reach to US$480 million, and the compound annual growth rate is expected to be 17.19%. In addition, the use of sonic sensors in mobile phones and the telecommunications industry is also one of the factors driving the market. Better safe than sorry. Welcome share RFQs and let us support E-cap, Chip MLCC for you ! Passive Components such as E-cap, Chip MLCC are widely used in huge amount of intelligent product services. Below key market segments currently driving the increase in demand 2019-2020. ˙Consumer Electronics – smartphone, 4K/8K HD Screens…etc. ˙Internet communication – IoT (internet of things), 5G, Servers, etc. 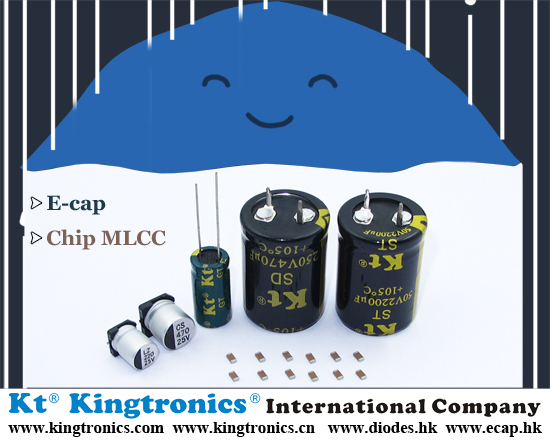 Do you face any problem with lead time for Aluminum ecap or Chip MLCC ? Are you looking for a more reliable supplier you can have confidence in ? 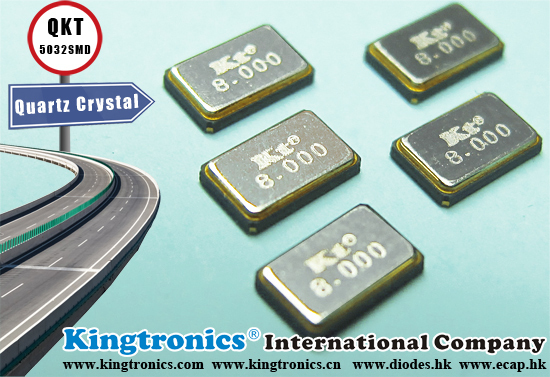 Kingtronics can support lead time for Aluminum ecaps 5-9 weeks, and our production line for Chip MLCC gets normal currently ! *It could be concluded around 3 reasons the shortage of Passive Components, now we are able to help you find better solutions. 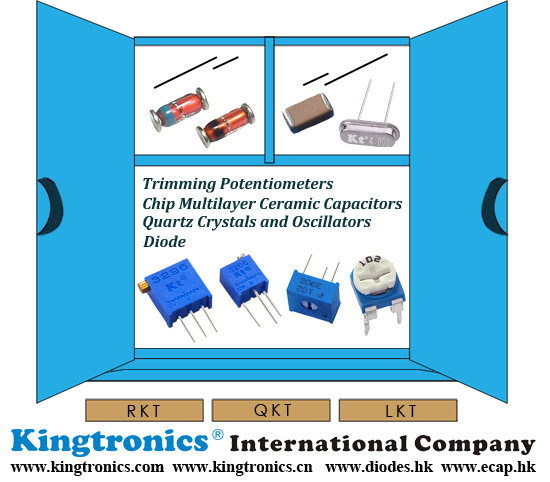 Kingtronics has been offering chip trimmer capacitors with high performance, low capacitance drift. The KKT series is a proven performer that delivers uncompromising stability for even the most demanding applications, such as medical devices, cellular technologies, tunable filter circuits, burglarproof devices, surveillance cameras, car audio systems and much more. Now we suggest that could you please order few KKT samples to test whether can replace the TZB4 series, which miniature rectangular shape of 4.0(W) x4.5 (L) x3.0 (H) mm. Hope we can help you solve the problem! You can get the first hand news for our products and production line via it. Every piece of your suggestion is our motivation to keep working hard on improving ourselves! Lots of customers have since many years Murata ceramic chip trimmers in use and they are discontinued for 2021, Kingtronics as a replacement is the best choice for you. 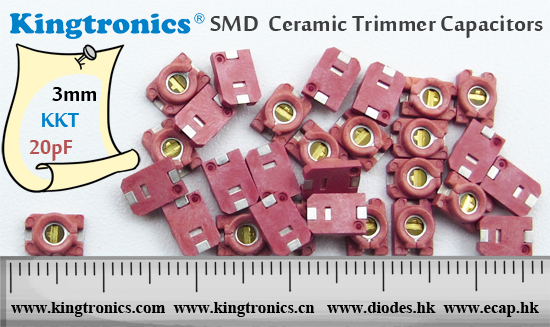 Some ceramic trimmer capacitor of cross reference between the KKT series and TZC3 series is desirable. 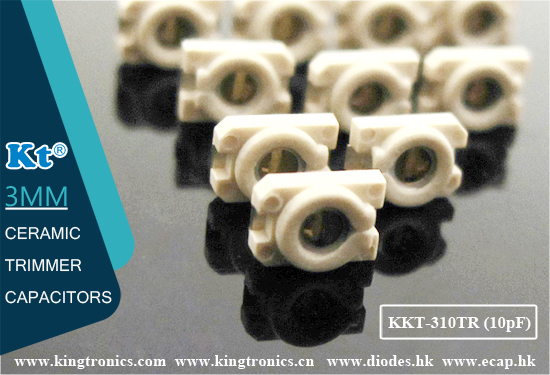 3MM Ceramic Trimmer Capacitors KKT series is designed for automatic placement in surface mount applications, which small size with external dimension of 3.2 (W) x4.5 (L) x1.5 (H)mm. They are heat resistant resin withstands reflow soldering; prompt delivery, competitive prices, and small order acceptable, stock available.